Is it Really Important for my Child to Memorize the Music? Memorize the music? What? The teacher expects my child to actually memorize the music? Isn’t life stressful enough without memorizing music? What’s the point? Let me assure you that if your music teacher wants your child to memorize the music, there are good reasons for it. Music teachers are not out to see how difficult they can make life for their students! Let me help you understand some of their reasoning. First, there are some events in the life of a music student that will require pieces to be played from memory. It might be the rules of a competition, the standards of a music guild or association. Future auditions might require memorized music. Your music teacher knows this and wants to start early to prepare your child for the future. Learning to play from memory is an acquired skill that takes practice. So, your teacher is really doing your child a favor by requiring memorized music now. Also, memorizing the music helps your child learn the music better, helps to make the music his own. When you memorize something, you must internalize it, pay attention to all the little details. This helps you learn something even better. As we work on memorizing music, we begin to see patterns in the music. We begin to understand shy the music does certain things, why the phrasing works the way it does. Memorizing music also helps students become better musicians. Instead of looking at the page in front of them, students can focus more on the musical qualities of the piece. The hands and fingers know what to do (almost automatically) so the mind can think about how to make the piece sound more musical, more beautiful. The musician can work on making the music sing, tell a story. Memorizing allow us to go beyond what is seen on the page and get to the real heart of the music. Believe it or not, learning to memorize music helps the student in many other areas of life. Memorizing music helps her learn to store and retrieve information from the brain. How to pull information, organize it, and use it. These are skills applicable to all of life and all of learning! Your child’s music teacher is teaching life skills and helping you out! Memorizing music helps students learn about performing under pressure. Let’s face it, music performance is pressure situation. But it is not the only pressure situation students will face in life. Learning to perform under pressure is another one of those life skills kids need to learn. We might think we are doing our kids a favor by eliminating stress from their lives, but the real world isn’t so forgiving. Will they ever have to give a presentation at work? In front of other people? The more opportunities we give them for performing under a little bit of pressure, the better they will do in real life. Let’s face it, not everyone is good at memorizing things, especially music. For some people it’s easy – play the piece enough times and they’ve got it down. For others, it is much more challenging. 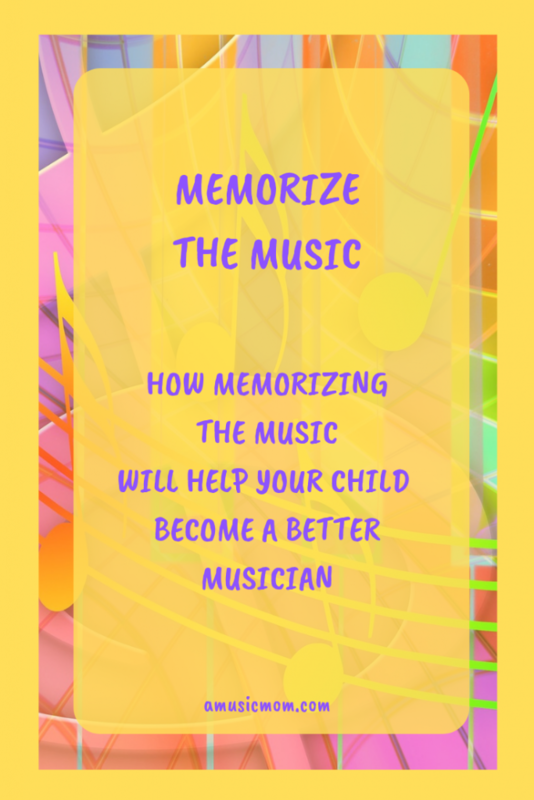 But it is far better to learn to memorize when a child is young than to try and tackle memorizing a difficult piece when they are much older. Here are some ideas that might help your child with the process. Work on small sections at a time. Have your child work on memorizing just a measure or a phrase at a time. Once they can play that much without looking at the music, have them work on the next measure or phrase. Then, see if they can play the first two sections together without the music. And then go on to the next little section. Another idea is to have them attempt to play the piece without looking at the music. If they have been practicing the music for a while, they probably know a good portion of it better than they think they do. Have them see how much they can play from memory already, mark the sections that they don’t know, and work on those sections a little bit at a time. Sometimes it helps to work backwards. Memorize the ending first. Then, the section right before the ending, and then the section before that. Endings are important, so being confident of knowing how the piece ends will boost their confidence as they get closer to the final part of the music. Another method to help with memorizing music is to copy the music. The more senses we involve with learning music, the better the student will learn and retain the music. As your child works on copying the music, he might see patterns that he didn’t notice before. She might see expression markings that she previously missed. My daughter is working on this right now as she prepares for an upcoming recital. Have your child practice SLOWLY! Slow practice is hard! Slow practice makes your child really think about what is coming next. I had an instructor tell me (more than once!) that if I wanted to play something well at a fast tempo, I had to be able to play it correctly very slowly. Slow practice requires thought and concentration. You can’t just put your mind on auto-pilot and hope for the best. You must be aware of what you are doing and of what comes next. Another suggestion for memorizing music is to listen to the music. Does your child have a recording of the piece she is memorizing? Have her listen to it – repeatedly! In the car, at bedtime, while walking the dog, whenever. Memorizing music requires the music to become part of you. Listening will help that process. Memorizing music is an important skill to learn. It will help your child become a better musician. Memorizing music will give your child important life skills. Learning to memorize music will help your child academically as well. Playing memorized music will help your child learn to perform under pressure. Oh, and one other thing. If your child has memorized some music, he will always have something ready to play when he visits the grandparents! What can be more important than that?! 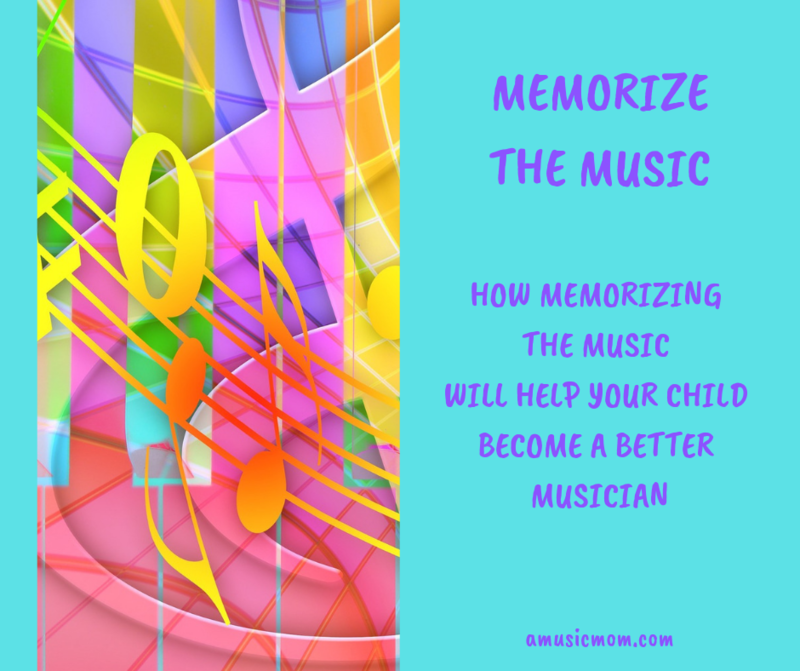 Here is some more information on how memorizing music can be helpful for your child. Next Next post: Where did your Flute Come From?